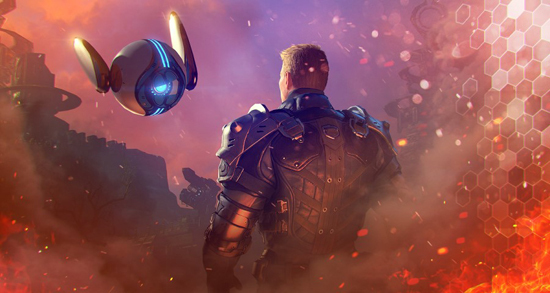 Skyforge’s newest update, Cybernetic Alliance, is now available. Cybernetic Alliance brings class balancing, changes to existing features, new end-game content, and the long-awaited robotic companion. All players will receive a loyal friend who will aid them in battle and provide companionship in the darkest of times. Companions: Flavius, one of the main story characters in Skyforge, has realized the significant benefit his autonomous robotic multi-tools provide. With that in mind, he's gotten to work on supplying the players with a cybernetic companion of their very own! Two new modules: New content will allow players to upgrade their free robot companion! The first will enable your mechanical comrade to revive its owner. The other will have your companion collect all loot following a fights completion! Akonita’s Avatar End Game content: Face off against the Avatar of the Akonita and practice your skills in a holographic battle against her as she prepares to make a personal appearance during a future Invasion. Equipment Refinement: The system related to the improvement of Boosters for the Main, Additional, and Ring slots will be undergoing an overhaul. Class Balancing: Players can expect beneficial changes to talents or skills of the Archer, Witch, Slayer, Monk, and others! The absolute goal of these changes is to allow a much more diverse range of classes within a single group and, at the same time, make all DPS classes completely viable for PvE encounters. D2 Distortion: This Distortion is endgame content and will pit players up against three bosses simultaneously, requiring the group to split up to manage each boss in small separated sectors. To learn more about Skyforge and to download for free today, visit sf.my.com.